Home cooking, baking and more! Mooncake is a Chinese traditional dessert for celebrating Mid-Autumn Festival, one of the most important holidays in the Chinese calendar. This year it falls on Sept. 27. 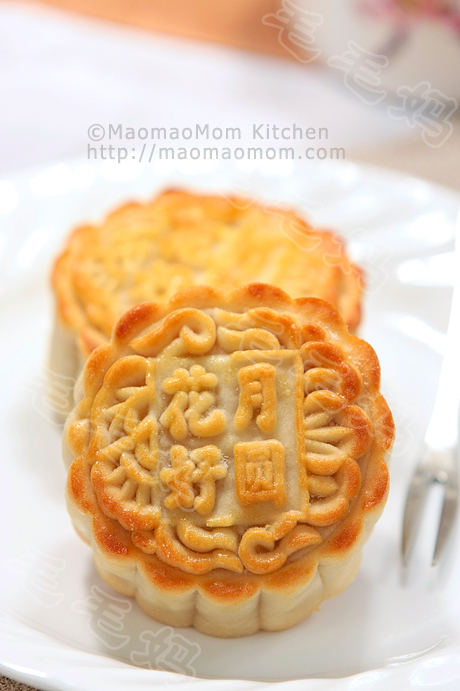 There are two major styles of mooncakes: Cantonese-style and Suzhou-style. 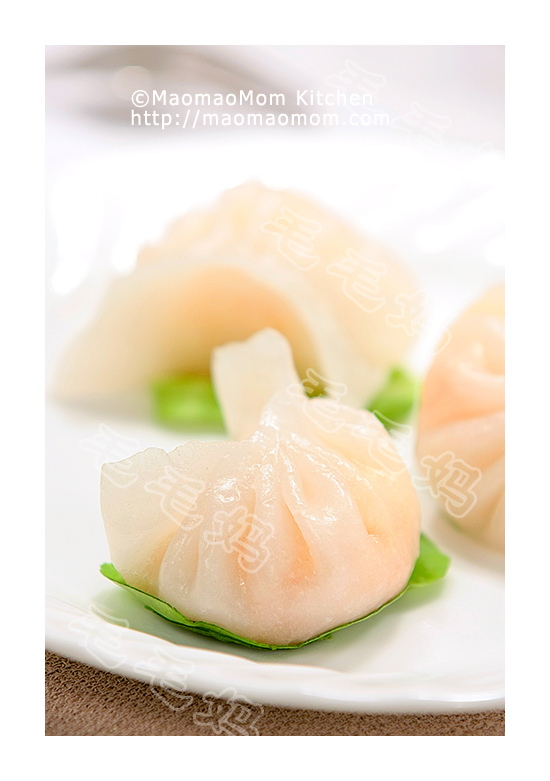 This recipe is Cantonese-style, known for its beautiful shape with clear and exquisite pattern on crust. This time I made traditional red bean filling, excellent. 8) 1 egg yolk and 1 tbsp water, mix well. 1: Add all ingredients of Ingredient 1) in a medium sauce pot; bring to a boil on high heat. Reduce heat to low, simmer until temperature reaches 226F/108C then remove from heat (Picture 1). Slowly stir in soda water of Ingredient 2) (Picture 2). Set aside to cool then filter out lemon pieces. Store the syrup in a clean glass container for 2 weeks before use (Picture 3). 2: Rinse red bean with cold water and place them inside InstantPot pressure cooker and fill with cold water to the 8.5-cup mark. Cover the lid and place the pressure valve to “Seal” position. Press “Manual” button and set 35 minutes of cooking time (Picture 4). When the program is done, wait for 10 mimutes and release the valve and open the lid (Picture 5). 3: Transfer cooked beans to a non-stick pot (Picture 6). Add condensed milk and vanilla extract in Ingredient 4), stir and cook until no liquid left (Picture 7) at medium-low heat about 15 minutes. Add oil in the Ingredient 4), continue cook and stir until red bean filling stick together and no water vapor is produced (Picture 8). Let it cool, divide into 34-35 equal portions (80g each). Form into balls (Picture 9) with your palms and chill for 30-60 minutes . 4: Combine all ingredients of Ingredient 5) in a container and mix well. Add the syrup and oil; stir to mix (Picture 10). Add flour of Ingredient 7); combine all ingredients with rubber spatula to form very soft and sticky dough (Picture 11). Cover with plastic wrap and let it stand for 30-60 minutes at room temperature. 5: In a floured surface, divide dough 34-35 equal portions (22g each). 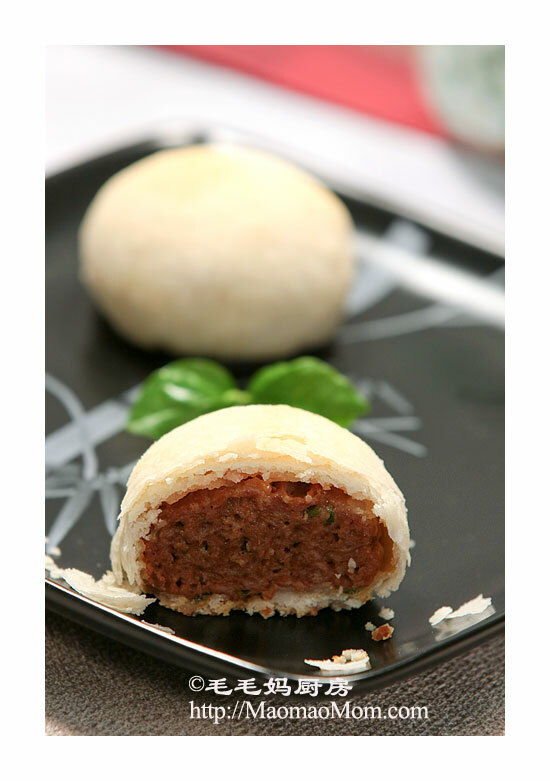 Press each portion into a circle about 6 cm in diameter; place a red bean filling ball on top. With both hands, gently push up the dough to cover the red bean ball (Picture 12) until completely cover the red bean ball (Picture 13). 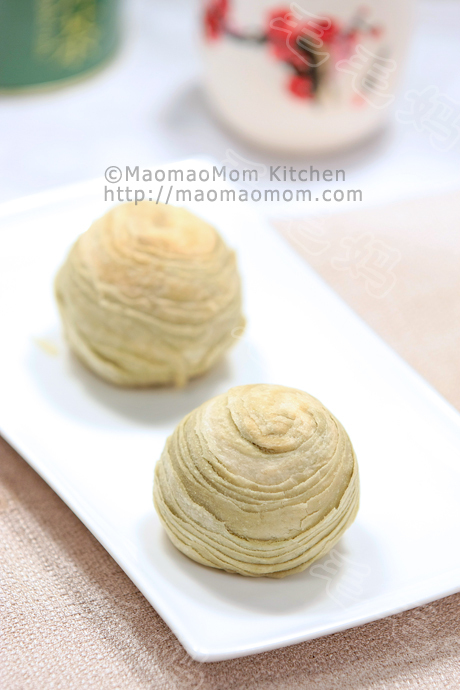 6: Lightly dust the mooncake ball with flour, then place it underneath the Mooncake mold. Press down (Picture 14) and release the handler; the mooncake is formed (Picture 15). 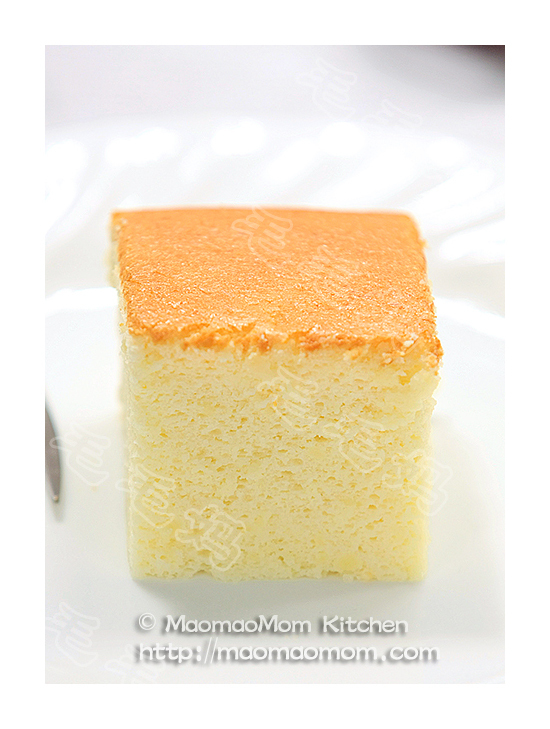 Repeat for the remaining portions and gently brush off flour on mooncake top. 7: Preheat oven to 395F/200C, place mooncakes on a parchment paper lined baking sheet (Picture 16). Bake for 6 minute and gently brush with egg wash (Picture 17). Reduce to 340F/170 and bake for 7 minutes. Brush with egg wash again, then bake for another 5 minutes. Broil low for 2-5 minutes until the surface turns light golden brown (Picture 18). 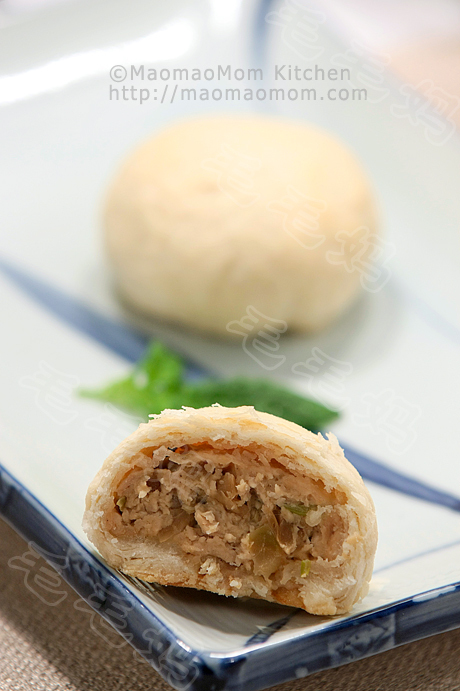 Store cooled mooncake in an airtight container for 1-2 days before serving. Tips：Leftover can be stored in airtight containers in the fridge for up to 7 days or in the freezer for up to 3 months. Prior to serving, thaw at the room temperature. This entry was posted in Dessert. Bookmark the permalink. Zojirushi SL-JAE14SA Mr. Bento Stainless Steel Lunch Jar, Silver--保温饭盒，给孩子带午餐. DO NOT copy and post the contents and photos from MaomaoMom Kitchen to other websites and media！ Only links of recipes are allowed to share!